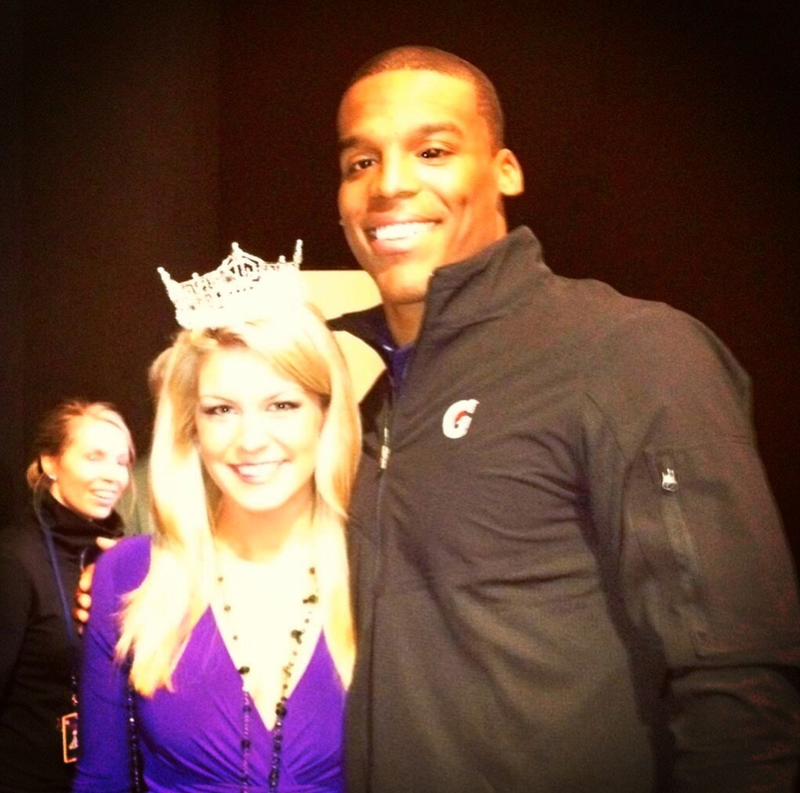 Blessed individuals Mallory Hagan and Cam Newton pose together during the Super Bowl. Barring unforeseen, un-American circumstances, former Niffer’s employee and current Miss America Mallory Hagan will make an appearance at Jordan-Hare Stadium during Saturday’s game between Auburn and Washington State, The War Eagle Reader has learned. Though details have yet to be finalized, Hagan, an Opelika native who briefly attended Auburn University, will likely be introduced on the field during the first timeout of the second quarter. And Aubie will likely be involved. Hagan hasn’t hidden that she’s an Auburn fan since winning the Miss America crown in January. She also has been spotted in Auburn hats, and apparently decorates her hotel rooms with “little pieces” of Auburn.